We are proud to announce our 10MM Ultra High Performance Wire Set for the LS1, LS2, LS3, LS6, & LS7 engine. Due to the short design of the the LSX style engines there is alot of heat near the plugs causing premature wire failure which costs you power. This wire set eliminates all of those concerns. The set starts with 10mm double pure silicone insulation braided for added pull strength and a Ferro spiral conductor with an ultra low resistance impregnated core. Over the 10mm wire is a fiberglass wrap with colored silicone heat sleeving for added heat protection. With less resistance (stock wires have over 600 ohms) and added heat protection this wire set will help you get the maximum performance from your ignition system. Made here in the USA! We are proud to announce our 10MM Ultra High Performance Wire Set for the LS1, LS2, LS3, LS6, & LS7 engine. 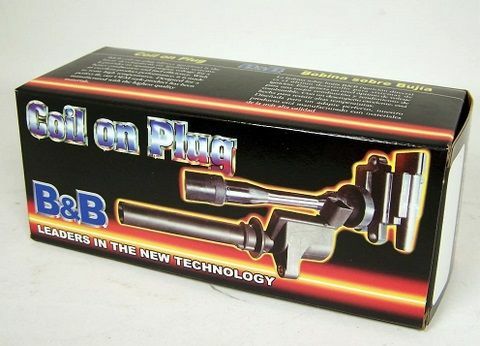 Due to the short design of the the LSX style engines there is alot of heat near the plugs causing premature wire failure which costs you power. This wire set eliminates all of those concerns. The set starts with 10mm double pure silicone insulation braided for added pull strength and a Ferro spiral conductor with an ultra low resistance impregnated core with less than 30ohms per foot. Over the 10mm wire is a fiberglass wrap with colored silicone heat sleeving for added heat protection. With less resistance (stock wires have over 600 ohms) and added heat protection this wire set will help you get the maximum performance from your ignition system. Made here in the USA!